“Eco-tourism” facility which forces protected species to perform tricks for entertainment has been dropped by world’s biggest travel site. 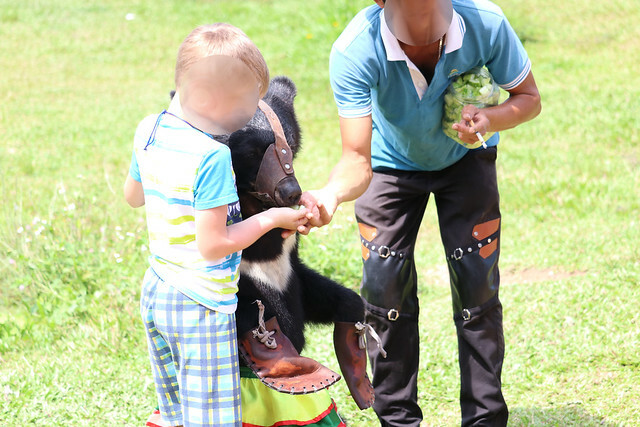 Macaques and elephants kept in atrocious conditions and openly forced to perform for tourists. Foreign tourists were found to be a mainstay of the business model, participating in cruel elephant and ostrich rides and even taking part in circus-type shows with bears. Animals Asia’s opposition prompted travel guide publisher Lonely Planet to end ticket sales to Long Phu’s Orchid and Monkey Island sites in 2018 and now TripAdvisor, the world’s largest travel site, has followed suit by ending ticket sales to Monkey Island. TripAdvisor is an American company with a market capitalisation of US$8.5 billion. While Vietnamese law does not prohibit animal performance, protected species such as bears, macaques and elephants are protected from exploitation including poaching and trading for profit. However, despite a report by Animals Asia showing the widespread abuse of six protected species at circuses across the country, the authorities have yet to take punitive action against any facilities and the performances continue. “The authorities are failing to tackle the very serious wildlife crimes behind Vietnam’s animal circus problem. We’ve been shown paperwork claiming juvenile moon bears have been obtained legally, but no facility or official has been able to explain how this is possible. The poaching and sale of bears for exploitation is illegal and no facility has the ability to breed, so where are they coming from? We still haven’t received an answer. In 2018, a cruel monkey circus within a UNESCO-accredited reserve was ended after a long-running campaign by Animals Asia and a petition signed by over 40,000 people. Sadly, the macaques are owned by Long Phu Corporation and are likely still being forced to perform at tourist sites owned by the company.